Need Insurance For Your Pet? Visit our Insurance Section for more info! Welcome to Compassionate K9 Mobile Dog Grooming! *Dear all customers currently operate 7 days a week. Please visit our contact page for operating hours. Thank you! All pet vaccinations & rabies certificate must be updated & current a copy of your pet rabies certificate is required prior to any grooming services being rendered. Please make sure everything is current & updated prior to scheduling your pet appointments to avoid any cancelations & unnecessary fee charge. We appreciate your sole cooperation and we are looking forward to grooming your pets and keeping them healthy! We hope you can find everything you need. Compassionate K9 Mobile Dog Grooming is focused on providing high quality dog grooming services and customer satisfactions! We will do everything we can to meet your expectations! Compassionate K9 Mobile Dog Grooming currently offers its mobile grooming service to pet parents by setting up our grooming van at pet parents house, apartments, condominium, or offices. Same day grooming appointments are not always available for both mobile & in house grooming. For mobile grooming appointments please schedule your grooming appointments a few days to a week in advance also. Due to our daily grooming schedules we may not always be able to schedule your appointments for your desired day and we can not guarantee our availability. Book with us today for an appointment. For Appointments & Quote Inquiries please contact us at (323) 627-9945 and ask for Kevin if we don't answer due to grooming in progress or driving please leave us a detailed voicemail or text with your (name, area of residence, dog name/breed/size, & grooming serviced desired) and we will get back to you as soon as possible by the end of the day or next day of business. Thank you! For all first time grooming appointments your pet will receive $3 Off our Refresher Spa Package, $5 Off our Furminator De-Shedding Spa Package, & $5 Off our Make-Over Spa Package on your first groom with us! Now offering special grooming pricing for senior citizens 55+ in order to help seniors alleviate cost and still allow their pets to be groomed and kept healthy! We are now servicing senior citizens in senior retirement homes & nursing homes that are allowed to own a dog and need a mobile groomer to service them for their convenient. For all appointment cancelation please give us an 24-48 hour notice prior to scheduled grooming appointment date. If appointment is canceled on the date of the grooming appointment than a cancelation and traveling fee of $25.00 will be charged toward the pet parent either on the spot if we have already arrived at your location of service or at your pet rescheduled or next grooming appointment. Compassionate K9 Mobile Dog Grooming now accept Cash, Checks as payments. In the future we will be implementing a credit card system that would allow us to accept Apple Pay, & Samsung Pay. We apologize for any inconvenience this may cause but please do have any of the above payments available at the time of your grooming appointment & service. With a variety of offerings to choose from we're sure you'll be happy working with us. Look around our website and if you have any comments or questions please feel free to contact us. 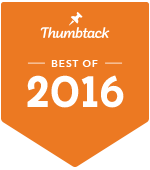 Our Thumbtack Professional Profile & Accolades! We are an experienced mobile grooming company based in Temple City a suburban quaint community within Los Angeles County, California. Our work has received many praise and compliments from our customers and other groomers, rescues,and non-profit humane societies nationwide and worldwide and because of our dedication we've recently received an awards for our work as Thumbtack Professional in 2015, Thumbtack Best of 2016 , as well as Top Pro 2017 for our services. Recently, we have also received Thumbtack Top Pro 2018 award for our hardwork commitment services towards our loyal and new customers. Please feel free to click on any of our Thumbtack widgets to learn more about us and our work on Thumbtack.